The Harvest calendar allows you to see all your fruit bookings for a particular month/week/day. 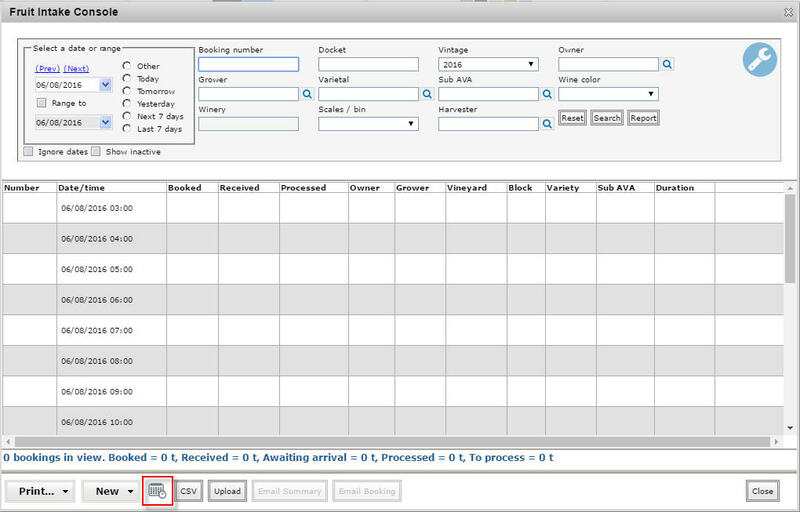 You an also create and manage fruit bookings, and crush/press loads from the harvest calendar. We’ve organised this guide with links to the primary topics. We recommend going through each topic one-by-one but you can easily skip to the section that most interests you. You can access the harvest calendar by going to Consoles – Harvest calendar. Alternatively, you can also go to Consoles – Fruit Intake, then click on the calendar icon on the bottom of the screen.